Stars are torn apart by supermassive black holes in colliding galaxies 100 times more often than previously thought, according to new research. 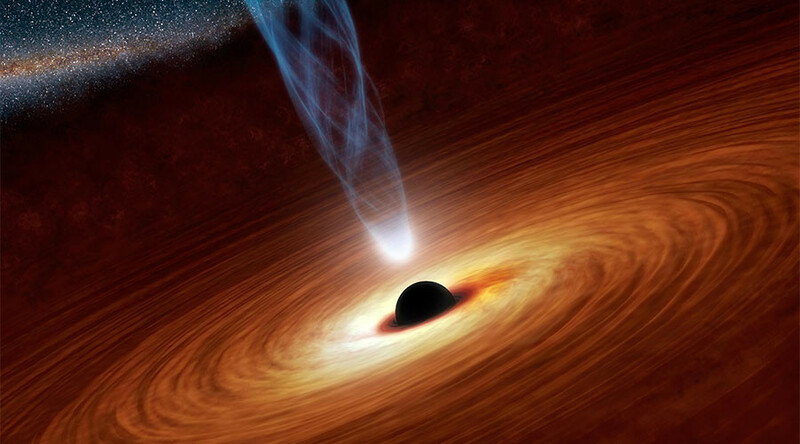 Black holes are known to feast on unsuspecting stars when they wander too close to its gravitational pull in ‘Tidal Disruption Events’ (TDEs). Astronomers at the University of Sheffield have produced evidence published in Nature, which calls into question the previous belief that Tidal Disruption Events (TDEs) were exceptionally rare and only occurred between every 10,000 to 100,000 years per galaxy. Researchers recorded a star being destroyed by a supermassive black hole in a survey of just 15 galaxies - an incredibly small sample size in astronomy standards, according to study author Dr. James Mullaney. “Each of these 15 galaxies is undergoing a ‘cosmic collision’ with a neighboring galaxy,” Mullaney said, noting that the rate of TDEs dramatically increases when galaxies collide. The team first observed the 15 colliding galaxies in a sample in 2005 and then again in 2015 where they noticed that one galaxy – F01004-2237 – appeared strikingly different. They then examined data from the Catalina Sky Survey and found that in 2010, the brightness of that galaxy flared dramatically. Based on the combination of variability and post-flare spectrum observed in the galaxy, the scientists reasoned that this flare was as a result of TDEs. The team also predicted that TDEs will become common in our own galaxy when the Milky Way merges with the neighboring Andromeda galaxy in about 5 billion years. “Looking towards the center of the Milky Way at the time of the merger we’d see a flare approximately every 10 to 100 years. The flares would be visible to the naked eye and appear much brighter than any other star or planet in the night sky,” Clive Tadhunter, Professor of Astrophysics and leader of the study said.